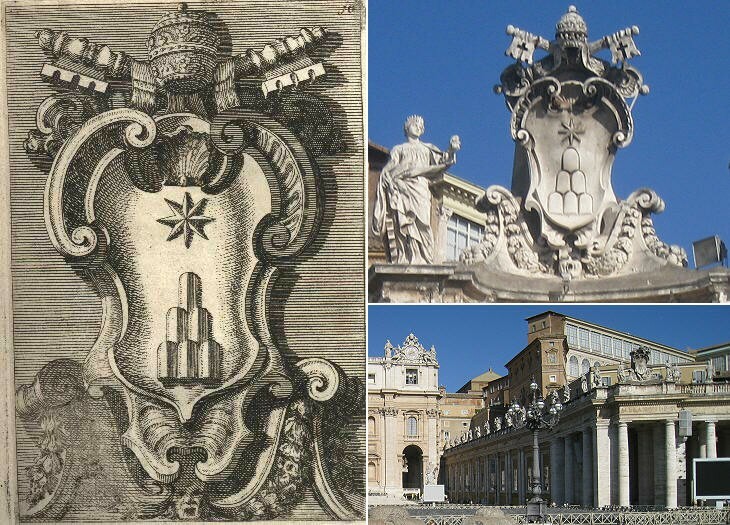 Pope Alexander VII discussed at length with Bernini the design of Piazza S. Pietro. Six gigantic coats of arms of this pope look over the square from the Colonnade. 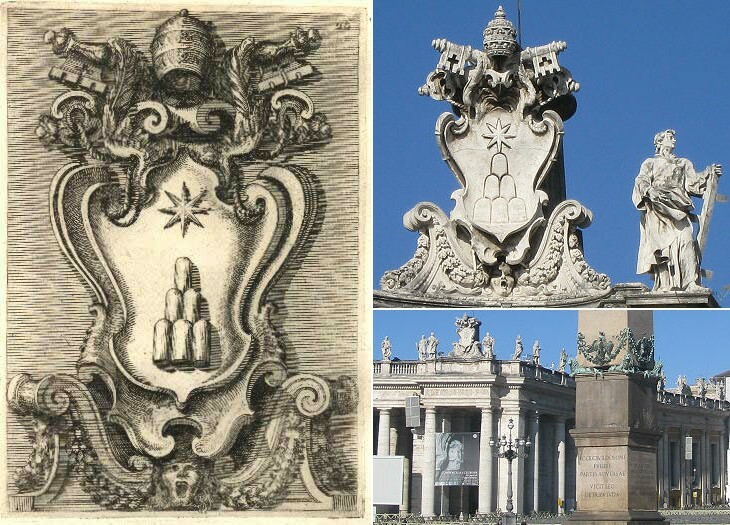 Filippo Juvarra chose those at the west side for his drawings (plates 10 and 26).